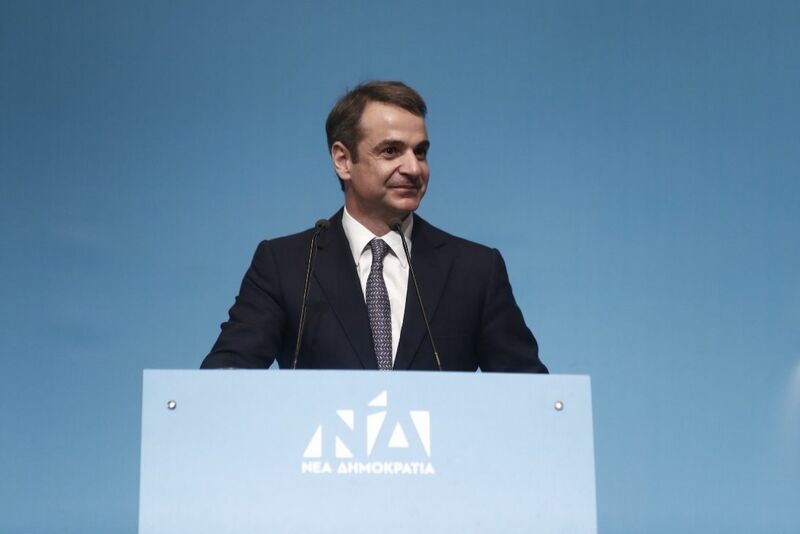 Main opposition New Democracy (ND) is gearing up for a general election later this year as leader Kyriacos Mitsotakis toured Greek cities over the weekend. The conservative party chief visited Patras in Western Greece on Friday, followed by Makrakomi and Karpenisi on Saturday, where he met with local party members and announced New Democracy candidates for the Evrytania one-seat constituency. Mitsotakis’ tours will continue as the party prepares for a triple election battle in 2019: European elections and local elections in May and a general election no later than October. The center-right party is buoyed by recent opinion polls showing it is edging closer to a landslide victory in the general election that may allow it to form a standalone government. An opinion poll by Metron Analysis for To Vima weekly over the weekend put New Democracy on 37.2 percent over 25.1 percent for ruling SYRIZA. Neo Nazi Golden Dawn came in third on 9.1 percent, followed by the center-left Movement for Change on 7 percent and the Communist Party on 6.1 percent. SYRIZA’s former coalition partner, the Independent Greeks party, came in at 1.3 percent, while To Potami (1.9 percent) and Union of Centrists (2.7 percent) also fell below the 3 percent threshold for entry to parliament. According to political analysts, polling proves New Democracy’s decision to effectively kick off campaigning for the general election is fruitful, as the party can now begin to push for an election result that would avoid dependence on smaller parties in order to form a government. On current polling results, ND would win 160 seats in the 300-member House, with SYRIZA on a lowly 74. Analysts point out that the ratification of the Prespes Agreement in parliament last month is also proving to be boosting New Democracy in opinion polls as the party cements its double-digit lead over the leftist ruling party led by Alexis Tsipras. The name-change deal struck with neighboring Skopje is highly unpopular among the electorate, with 69 percent dubbing it “negative” and just 25 percent viewing it in a positive light.